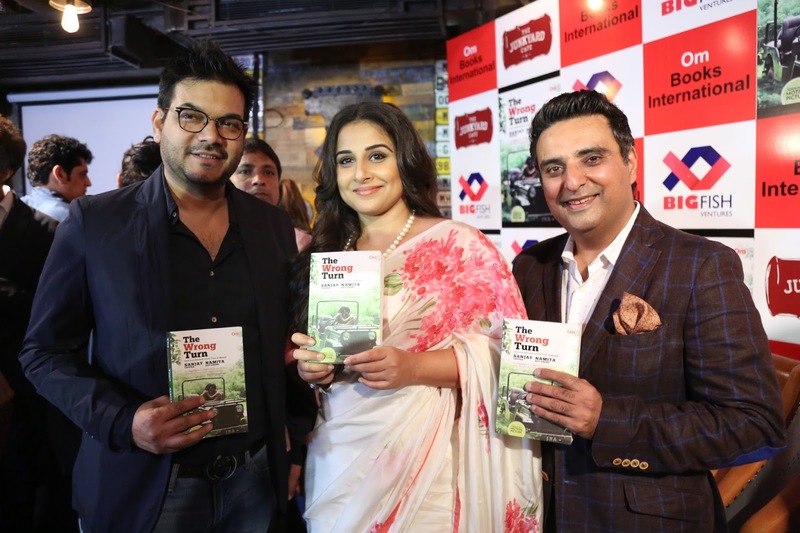 The book was launched in an exemplary event by famous Bollywood personalities- Vidya Balan, along with Rajat Kapoor, Simone Singh, Tigmangshu Dhulia, Arshad Warsi, Anil Dharker, Tisca Chopra, Maria Goretti, Sayani Gupta, Kavita Kaushik, Ranvir Shorey and Mushtaq Sheikh, among others in Mumbai. ‘The Wrong Turn: Love and Betrayal in the Time of Netaji’ is a story that takes you back to a past era when history witnessed greatest military conflict ever- ‘Second World War’. The authors beautifully narrate the historical fiction as a potent combination of romance, betrayal, battle, and thriller with emotional balance. ‘The Wrong Turn’ lets you gain deeper insights into the fascinating life of Netaji Subhash Chandra Bose, whose death was, and remains a mystery and who was perceived as the “George Washington of India” by the Indian freedom fighters during the pre-independence period. While in exile, Netaji travelled to Russia, Germany, Austria, Italy Singapore and Japan in order to get strong support from other nations to fight against the British colonial rule in India. The book allows you to get lost in the cities of Calcutta, Singapore, Rangoon and Kohima as the four desperate forces share the battle ground in Kohima to grab the brightest jewel in the crown — India. However, this time it’s not just about war as hearts have a major say at the end in declaring victory. The best part about the book is that it’s a right blend of historical facts and fiction that subsequently holds the reader’s attention right to the very end. The brave efforts of Indian National Army (INA), Japanese troops and Netaji are highlighted well in the book and the ending conveys the hardships and miseries faced by the people at the battles of revolution fought by the INA. This book will definitely be of interest to readers who enjoy reading fast-paced historical fictions as it keeps them engaged with multiple characters till the very end. Namita Roy Ghose has established her storytelling skills through her scriptwriting, screenplays poetry, fiction, legendary advertising campaigns, and as a renowned advertising film director. Namita as Creative Director with HTA, left after 13 years to start her own film company, White Light, one of India’s top ad film outfits. She is a social activist, and the founder of Vanashakti, an NGO that works to protect the environment. Namita has done pro bono work on social issues such as domestic violence, child welfare, sexual harassment and forest preservation. She is an avid traveller, a photographer, foodie and teacher.